In July and August 2017 two WHS cases prosecuted by SafeWork NSW were decided on in the District Court. The first WHS fine for a company considered to be negligent in their care of an employee occurred in October 2014. An employee was permanently incapacitated after falling 2.7 metres whilst working on a construction site. The company was found to be in breach of section 32 of the of the Work Health and Safety Act 2011 and for failing to comply with its obligations under section 32/19(1) of the Act, and fined $27,000 . The second incident happened in November 2015. An employee fell from a height of 3 metres as he was working in a warehouse. The company he worked for was also found to be in breach of WHS guidelines, and they were fined $85,000.00. Workers, their families’, and friend’s lives can be devastated in the split second it can take an accident to occur. It’s never easy for anyone to ‘move on’ when one of your employees suffers an accident or incident. Your company’s moral, reputation and bottom line can be irretrievably destroyed. company, now companies have extra WHS fines to consider. SafeWork NSW has introduced targeted on-the-spot fines for breaches of WHS requirements in response to a big increase in 2017, of the number of accidents and fatalities experienced by workers who’ve fallen from heights. your company could be given an on-the-spot fine of $720 for an individual, and $3,600 for an incorporated company. Furthermore, you could be fined for simply not checking or sighting an employee’s license. Although SafeWork officers will be targeting all worksites, it is safe to assume, they will be putting in extra effort to visit construction worksites. Over 50% of fall incidents in 2017 have been reported have occurred on Construction worksites. More information on SafeWork’s WHS expectations and a handy list of what steps your company is required to take can be found here. But, regardless of the threat of fines and costly and emotionally catastrophic court appearances, just imagine how you would feel if a person you employ suffers permanent damage or worse still, simply because you haven’t made sure you’ve taken every step possible to protect them from a fall. Do everything you can to protect your employee’s safety as well as your company; make sure your workforce is fully accredited and carrying their qualifications. We have a range of WHS specific courses – White Card, WHS Industry Based Courses and Group Training. Contact our professional consultants at Training Aid for more information about all the courses we offer. We have onsite training premises in both Sydney and Melbourne, but we are happy to provide group training at your choice of location. We get a lot of calls asking us about CPR Training and CPR Certification. So, we’ve taken some of your most common questions and listed their answers, to save you making a phone call…. 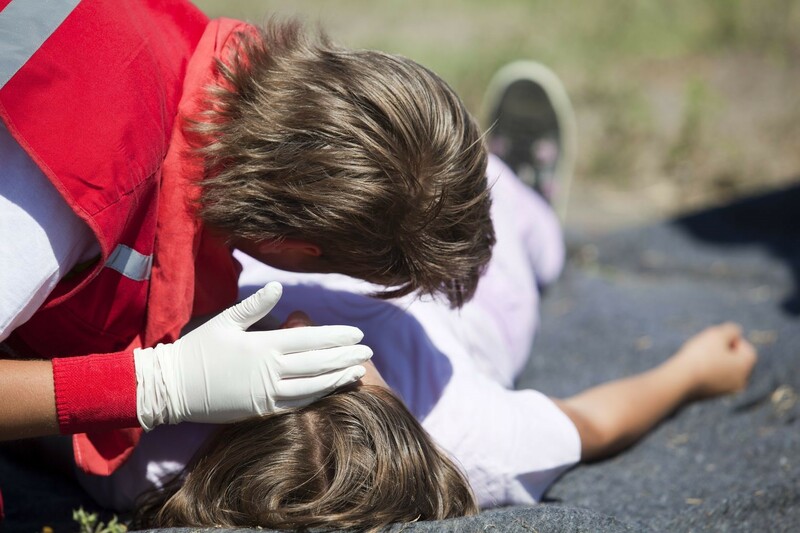 What is the difference between CPR Training and CPR Certification? A CPR (techniques which can increase the chances of restarting the heart and breathing systems of someone who’s breathing and heart rhythm have gone into a state of arrest), Course teaches all the units required for you to understand what Cardiopulmonary Resuscitation is and how it is practised. CPR Certification (or accreditation) is the certificate you will be awarded if you successfully pass all the units covered by the training. Who needs CPR Training and CPR Certification? Up to date CPR training and CPR certification is becoming increasingly expected in many careers. Childcare Workers, Carers of the Elderly, Health and Fitness professionals, WH&S officers, Education Staff, and even First Aid personnel at your local shopping centre, are all required to have current CPR certification. Why are so many workplaces now expecting staff have CPR Certification? Duty Of Care is a legally required responsibility of almost every workplace. If someone suffers a heart arrest, there is a strong chance a workplace could be held legally negligent there isn’t a WH&S officer, or staff with successful CPR training, to respond. Regulation of the SafeWork NSW Code Of Practice states, ‘a person conducting a business or undertaking must ensure that an adequate number of workers are trained to administer first aid at the workplace or that workers have access to an adequate number of other people who have been trained to administer first aid.’ CPR Certification is required for all First Aiders. What is covered in CPR Training? HLTAID001 Provide Cardiopulmonary Resuscitation (CPR) – which is basic CPR training and includes legal requirements, CPR techniques and AED use. HLTAID007 Provide Advanced Resuscitation Refresher Training – refresher courses must be taken each year to keep this accreditation valid. Generally all our CPR courses take around 3.5 and 4 hours in total. How is CPR training structured? The majority of the courses are face-to-face instruction and role play demonstrations. You will be expected to demonstrate CPR techniques so dress in loose comfortable clothing. At the end of the training, students need to satisfactorily pass all units and a theory paper to get their CPR Certification. Do all participants have to come into Training Aid’s premises for their CPR training? CPR Training is one of our most popular courses. Training Aid offers group training sessions either at our premises or your choice of premises, for all our first aid and CPR training. However, there is a minimum number required for us to hold group training sessions – call 1300 2 ENROL (1300 2 36 765) or 1300 663 350for more information. Contact our professional consultants at Training Aid for more information about the First Aid and CPR courses we offer. We have onsite training premises in both Sydney and Melbourne, but we are happy to provide group training first aid courses at your choice of location. Who Needs HLTAID004 Childcare First Aid Course Accreditation? Not just childcare, educators and health professionals â€“ everyone who spends some time caring for children need to know what the correct response is if there is an accident or injury. The best way to gain first aid skills is to attend a HLTAID004 Childcare First Aid Course! 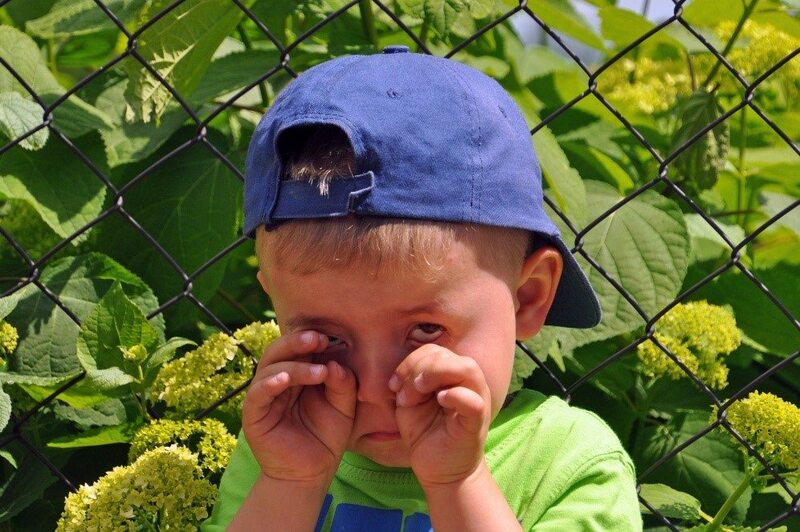 A child in your care could be involved in an accident and suffer injuries incredibly quickly! Make sure you donâ€™t waste precious treatment time because you havenâ€™t got HLTAID004 Childcare First Aid Course accreditation and you donâ€™t know what to do! These statistics donâ€™t even take into account how many children and infants have visited a health care professional for treatment of an injury or accident. The Daily Telegraph recently reported, â€˜more than a thousand Australian babies and toddlers are sent to hospital each year with injuries sustained in daycareâ€™ in 2014-2015. It is mandatory all Child Care workers have their HLTAID004 Childcare First Aid Course accreditation. If youâ€™re a school leaver who absolutely loves kids and just wants to work caring for them â€“ you need to have successfully completed all HLTAID004 units as an add on to all childhood studies accreditations. If you are thinking children will be safe in your home, think again! The home was the place of injury for 60% of infants and children, and that is only the cases which require treatment in a hospital! Home carers (mums, dads, registered home carers, and grandparents) all need to have completed a HLTAID004 Childcare First Aid Course to keep the most vulnerable, young people, safe and protected. The units covered arenâ€™t hugely different to those in our other Provide First Aid Courses. However, the techniques demonstrated have been specifically adjusted for more effective treatment for childhood injuries. A good example of this is the process of CPR is quite different in infants, children and adults. CPR which uses â€˜adultâ€™ techniques can easily create further damage to an infant or child. HLTAID001 Cardiopulmonary Resuscitation (CPR) is an essential competency of the HLTAID004 Childcare First Aid Course. what is considered to be a dangerously high temperature? So, ifÂ youÂ need HLTAID004 Childcare First Aid Course accreditation to protect children in your care â€“ Training Aid is running numerous courses in both their Sydney and Melbourne premises, to find out more information or contact us click here. This blog is general in nature and is ONLY meant to give readers an overview of the subject matter. Do NOT rely on this information for your specific needs. If you are planning to enrol or attend one of our courses we highly recommend that you discuss this with one of our friendly staff, your company manager, or other supervisors, to advise on your groupâ€™s SPECIFIC requirements. In reaction to a steep increase of construction worksite accidents and fatalities (45 fatalities in 2007), Safe Work introduced WH&S training (a White Card course). The White Card course aims to protect all personnel working on a construction site from work-related injuries and fatalities. SafeWork NSW requires construction companies to only employ staff who have accredited ‘Work Safely In The Construction Industry Training’. The training is designed to make management and staff aware of the specific hazards and risks of working within the construction industries. Not only would your company’s balance sheet be affected, just imagine what the bad publicity could do to your trading reputation. It was simply luck the crane collapse didn’t cause a high number of injuries or even fatalities. 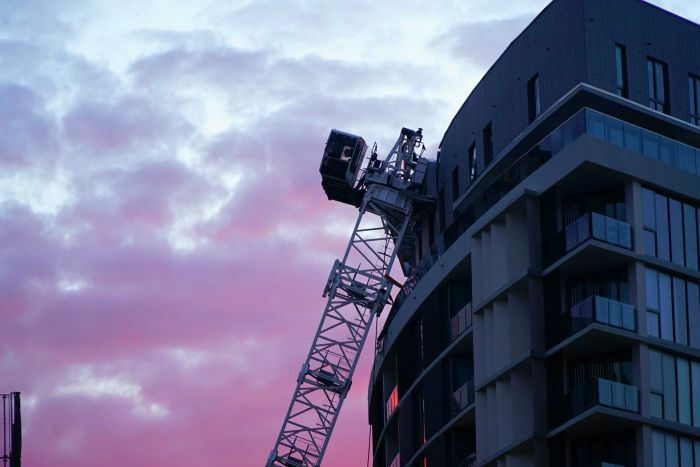 The crane was not manned at the time of the accident, the damage which occurred to the apartment tower it fell on did not cause major injuries, and the train line which was also affected didn’t result in any reportable incidents. However, the Wolli Creek apartment tower the crane collapsed on was the home of around 200 people, and as we all know, Sydney’s train lines can be extremely busy. Realistically an accident of this type could easily be quite catastrophic. Of course, White Card courses only offer entry level site induction. But ensuring all your personal WH&S training could reduce the catastrophic after effects on your company, workforce and community after an accident has occurred. If your workforce doesn’t have up-to-date WH&S (White Card Training) you could be placing them, your business and the wider community at risk. Contact our professional consultants at Training Aid for more information about our White Card Course and for Discounts for Group Training we offer. *This blog is general in nature and is ONLY meant to give readers an overview of the subject matter. Do NOT rely on this information for your specific needs. If you are planning to attend one of Training Aid’s courses, we highly recommend that you contact either a company you are seeking employment with, or professional recruiters concerning your SPECIFIC requirements. Your Staff need to have an accredited Food Handlers Certificate, (SITXFSA101 Workplace Hygiene Procedures Course) and a FSS or Food Safety Supervisor (SITXFSA101 and SITXFSA201 Food Safety Supervisor Course) to protect both your company income and your consumer’s health. It only takes a few unsatisfied customers to make a complaint a bout any of the points listed below, for the NSW Department of Primary Industries’ Food Authority to send out representatives to audit your business. not having a copy of an up-to-date certificate to prove your Food Safety Supervisor is accredited. Sydney (Food businesses who don’t have staff correctly accredited with their Food Handlers Certificate are not only risking heavy penalties, their business will be listed on the NSW Department of Primary Industries – Food Authority’s Name and Shame Register. The Name and Shame Register is an extremely easy to use list of food based businesses that have been served with penalty notices for not complying with the Food Authority’s regulations. Prospective customers can quickly check the Name and Shame register, by name or suburb, to see if an establishment has received any penalty notices for not having safe food practises. 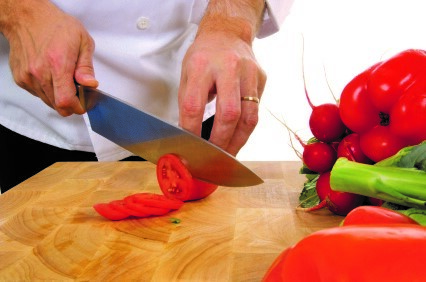 Ultimately Food Hygiene is the responsibility of the owner/manager of a commercial food supplier. It is up to you to make sure you only have staff who are fully qualified with the Food Handlers Certificate – SITXFSA101 Workplace Hygiene Procedures Course accreditation. And who are strictly supervised by an overseer who also has their Food Handlers Certificate as well as their SITXFSA201 Food Safety Supervisor Course. If any of your food preparation staff don’t have an up-to-date Food Handlers Certificate, and their isn’t an accredited Food Safety Supervisor making sure all safety and hygiene procedures are being followed you could be placing them, your business and the wider community at risk. Contact our professional consultants at Training Aid for more information about our Workplace Hygiene Food Safety Course, Food Safety Supervisor and for Discounts for Group Training we offer.